The Aalto Ice Tank is part of the Department of Mechanical Engineering of Aalto University. The facility is currently under renovation and should be back in full operation again in the beginning of 2017, with a new cooling system and a state of the art carriage and bridge. The tank has a 40m x 40m lateral area and a depth of 2.8m, which is unique in Europe. The basin has a movable bridge which spans over the basin. Below the bridge is a carriage which can move along the bridge. Consequently, objects mounted to the carriage can be moved in any path through the basin, while e.g. forces and path are measured. At the front, the bridge has 4 pushing plates of 10 m length, which can be lowered individually or together to push ice against fixed installations, while measuring forces. 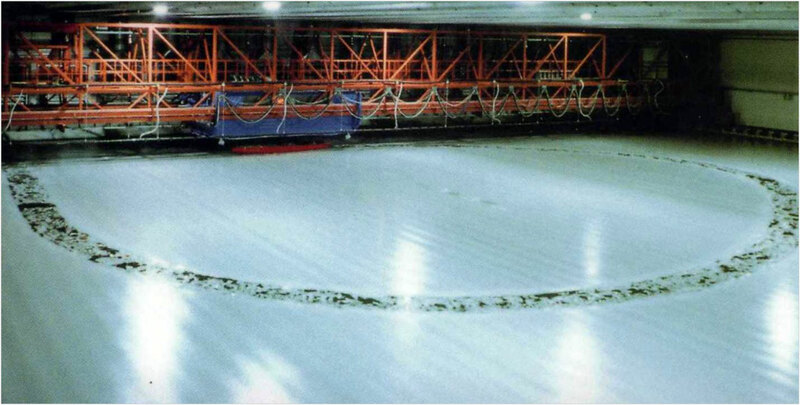 The model-scale ice is produced by spraying fine water mist (seeding) layer by layer onto the cooled surface, which produces a fine-grained structure. The spray water is doped with 0.3% of ethanol to weaken the produced ice artificially. 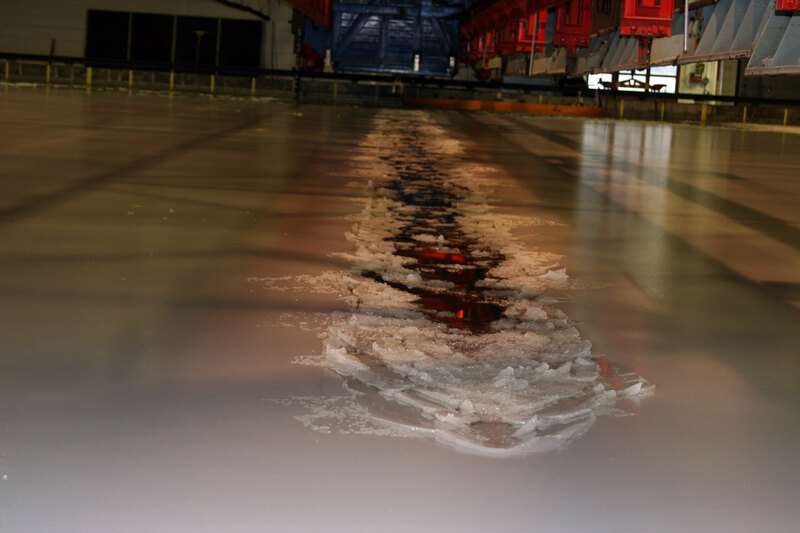 The properties of the ice sheets range from 20 mm  80 mm thickness and from 15 kPa  120 kPa bending strength. The basin dimensions also allow extraordinary tests as in HYDRALAB IV, where floating icebergs have been towed against floating structures. Furthermore, the laboratory has a model of an ice-going tanker which can be used and instrumented (see also HYDRALAB IV) for research tests. The basin has an affiliated workshop for wood and metal that allows manufacturing custom equipment. In addition to this, several other special workshops are located nearby on the campus.